Harlech: Accommodation, Attractions, Activities, Going Out, Shopping, Things to Do, Places of Interest, Outdoors, Harlech Holidays, Harlech Area Location, North Wales. Harlech is famed for its castle and for the song Men of Harlech, but there's much more to the town. When you get to the top of the castle, you can see the excellent view of Harlech - from the golf course and the beautiful beaches to the schools. The old town is a criss-cross of small streets with shops and restaurants. On the coastal plain below is the Royal St David�s Golf course and the town�s leisure complex. There are hills and mountains to walk up, and it's a nice and relaxing place to live. Maes-y-Neuadd Country House in Snowdonia. 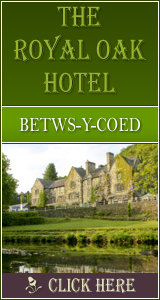 Hotels in Wales / Holiday Accommodation in Wales. Harlech.com Guide, including accommodation and things to do. St David's Hotel in Harlech, North Wales Holiday Accommodation in North Wales, Hotels in North Wales.